Perry Town Planning co-ordinated a specialist team of consultants to facilitate for a planning permit for a homemaker centre at Pakenham. 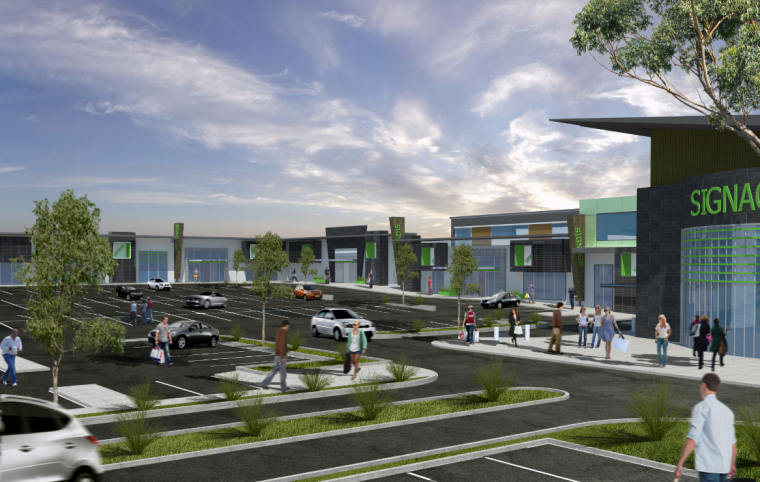 The Pakenham Lifestyle Centre occupies a prime location along Princes Highway at a gateway to the adjacent Lakeside Activity Centre and residential estate. A permit was issued following a consent order at VCAT and the Centre is currently under construction. Various issues encountered and resolved: Reduction in car parking requirements; noise impacts on residential uses; high volume of anticipated vehicular trips; creation of multiple points of access on Princes Highway; impact of traffic on local road network; safe loading and unloading of goods; disability access; retail centre exceeded indicative floor space limit prescribed by Precinct Structure Plan; removal of native vegetation; high profile commercial objections against development.